The Central Coast, Australia: Stockton, New Castle, Hunter Valley, Port Macquarie & Coffs Harbour. After leaving Sydney, we began to make our way up the East Coast towards our final destination of Brisbane. Over the course of a week or so we stopped in various small coastal towns along the central coast, all of which were delightful and unique. As we only stopped in these places for one or two nights, I doubt I would have enough to write a blog post about each of them however the following places were all so special I felt they needed a mention. We originally wanted to stay in and around Newcastle, however the nearest campsite we could find on Wikicamps (the best app for finding campsites) was in Stockton, a small ferry ride away from Newcastle itself. This actually turned out to be a blessing as Stockton is a tiny town with a cute centre of cafes and shops, right on a beautifully untouched stretch of sand. We loved wandering down the beach and along the breakwater, where pelicans sat on almost every lamppost and we got absolutely soaked by the waves smashing against the rocks. 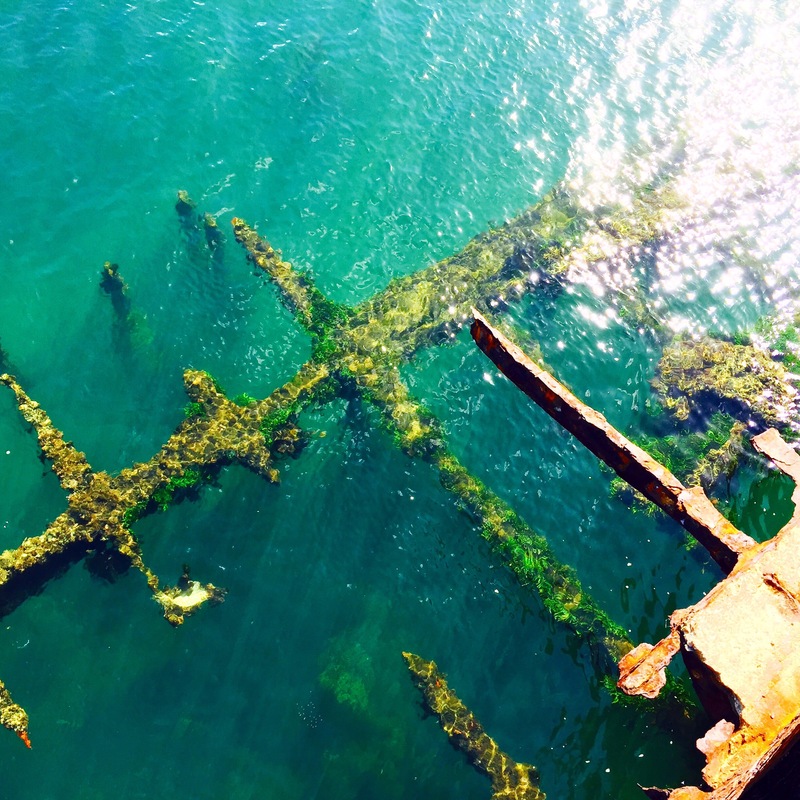 There is a really cool shipwreck about three quarters of the way down which is definitely worth a look! Equally Newcastle boasts some great cafes and has a very British feel about it, which we loved. The famous walk down to Nobby’s head (just off of Nobby’s beach in Newcastle) has some great ocean views and many a friendly fisherman’s face. We spent a lovely two nights in Port Macquarie, a town which according the Lonely Planet Guide was the third to be established on the Australian mainland. Originally a place for European convicts, Port Macquarie is now a popular holiday spot for families. 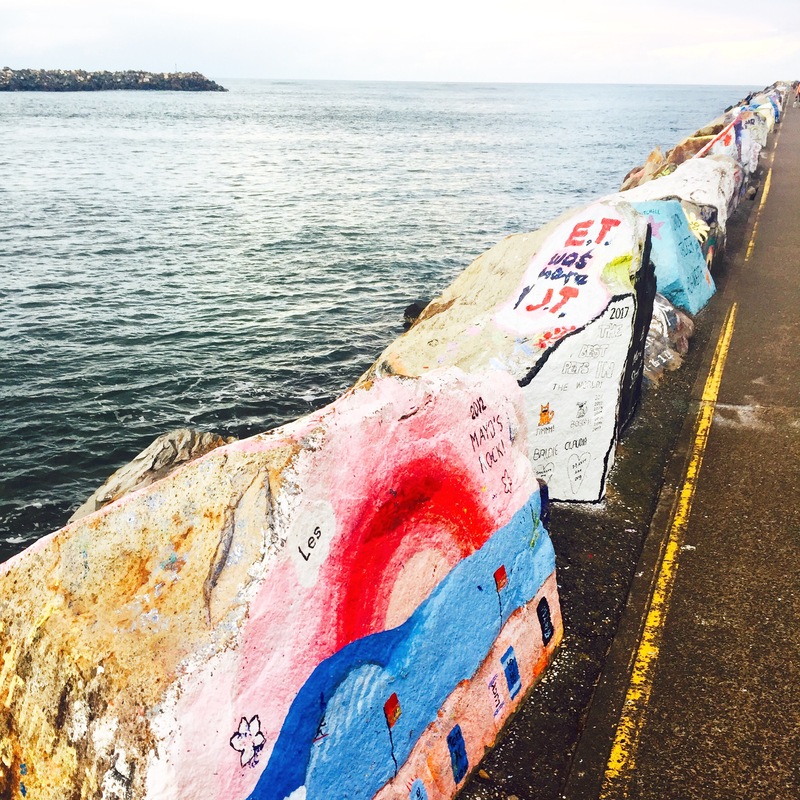 The Breakwater that runs along the waterfront at the bottom of town (and right outside the caravan park) has been turned into a colourful abundance of amateur art. Messages from families, church groups, and locals remembering loved ones cover the rocks for what seems like miles; it is a truly lovely sight. Hunter Valley is a great place for a wine tasting tour as it is the oldest wine region in Australia, with vineyards dating back to the 1820’s. 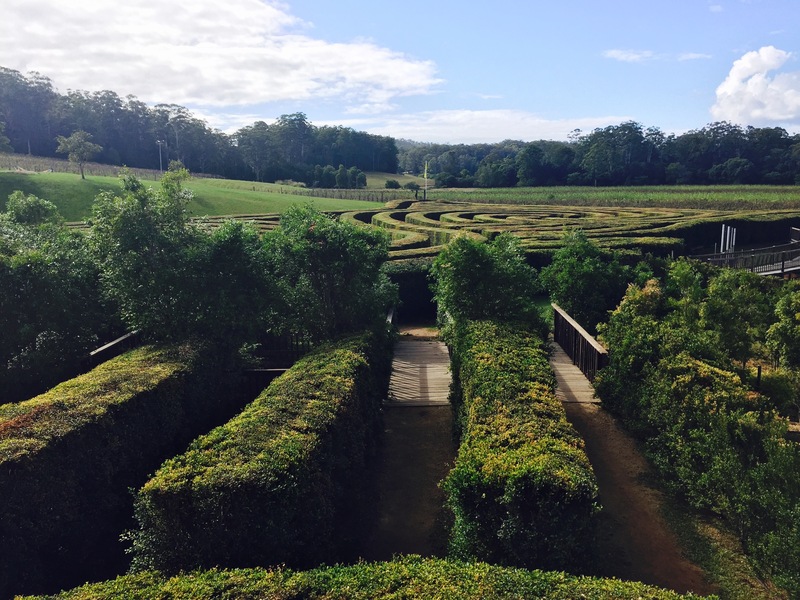 Unfortunately my pallet is not quite as mature as I would hope at the age of 24 and instead myself and Matt headed to the vineyard with the biggest hedge maze in New South Wales. I cannot remember for the life of me what it was called but it was so fun! 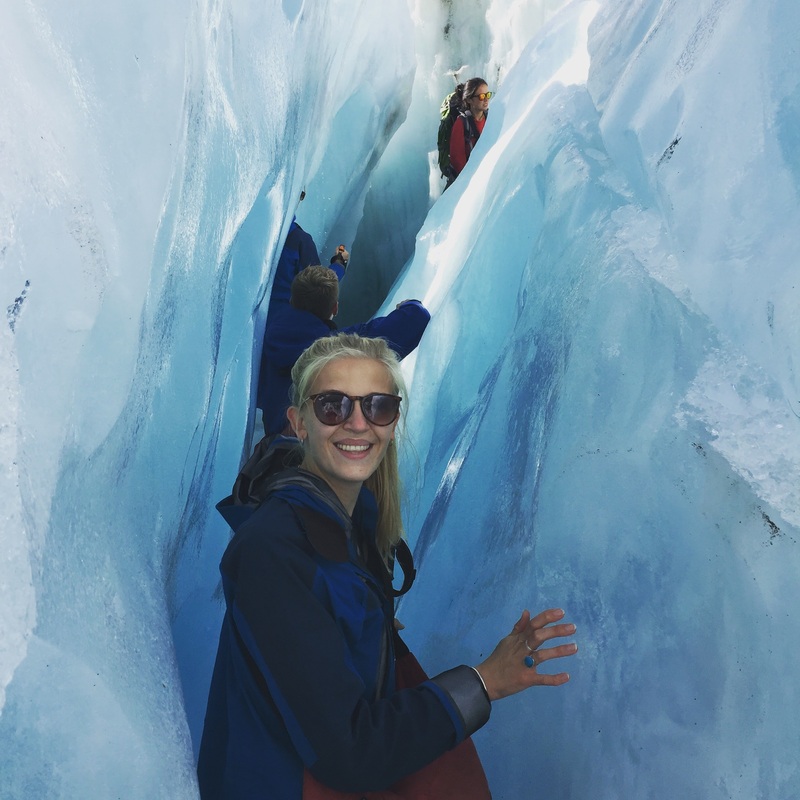 It took us about 45 minutes to get through the maze and do all the tasks set for us, and the owner was very informative about the region and gave us lots of tips of how to make the most of our time when travelling up the east coast! This was more of a stop over than anything else and we only spent one night here but who can resist the pulls of the famous ‘Big Banana’?! The Central Coast of Australia is dotted with some absolute gems and if you aren’t short of time you could easily spend months just visiting the towns and cities that hug the coastline. I loved how quiet these places were and how we were able to meet so many friendly Australians. Sometimes it really is great to get away from the throngs of foreign tourists that flood into certain areas of the country, it allows you to see what real Australia is about.